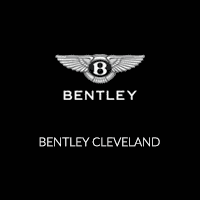 We are excited to announce Bentley Cleveland is now open for business in North Olmsted and we are looking forward to an opportunity to connect with all of our neighbors in Northeast Ohio. As a first step, we would like to invite you to an exclusive test-drive event where we will have both the new Bentley Continental GT and the Bentley Bentayga V8 available to drive from Saturday, September 22nd through Tuesday, September 25th. These 2 breath-taking vehicles with state-of-the-art design and technology provide a unique driving experience you will want to feel for yourself. Please RSVP below to ensure we have you scheduled for this event.